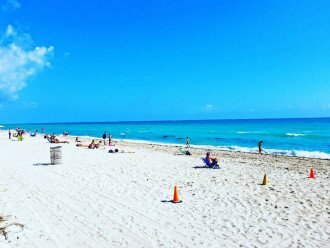 Beach is just a few blocks away! 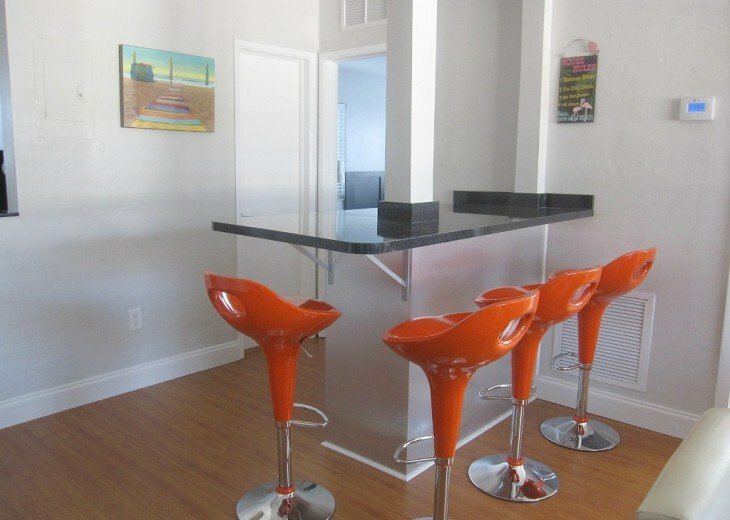 Come enjoy our charming Art Deco apartment located in the heart of South Beach! 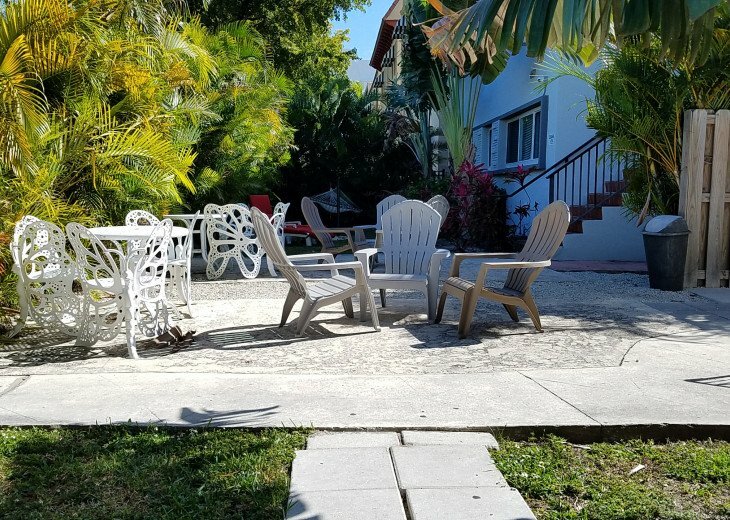 This fabulous property is just steps away from the Beach and the famous Ocean Dr. ,where you can enjoy great restaurants, bars, cafes, shopping and the best people watching! 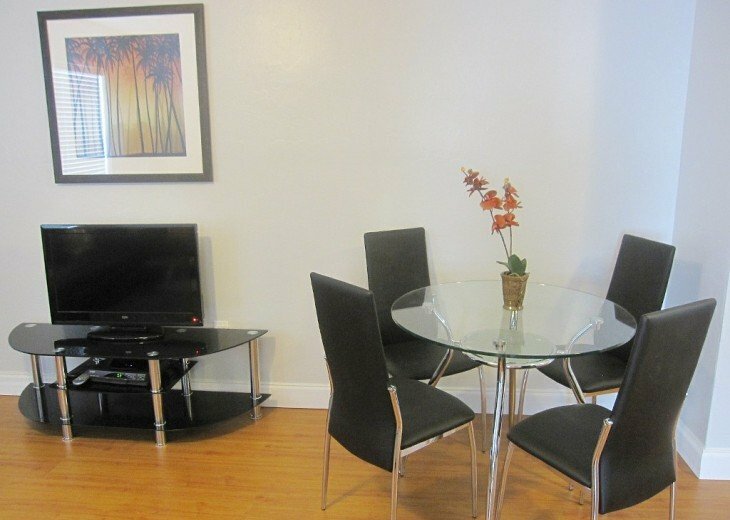 And just a short 5 minute walk to the trendy Collins Ave and Lincoln Rd! 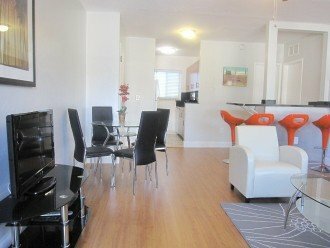 This 2/2 apartment offers a chic, contemporary decor with 2 spacious bedrooms with pillow top mattresses, quality pillows and linens. It offers 4 Queen beds plus 2 Queen size futon sofa beds, making it ideal for families, groups and friends. 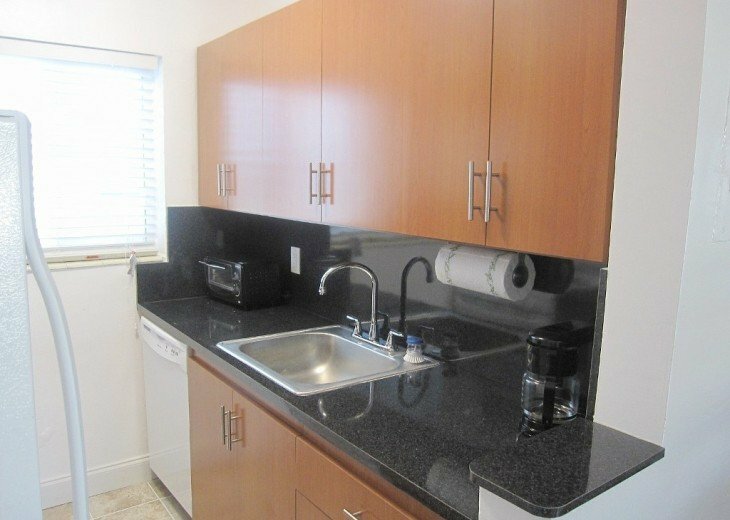 A fully equipped kitchen with all the comforts of home plus all the Bar essentials..allowing you to have perfect happy hour before you hit the town! 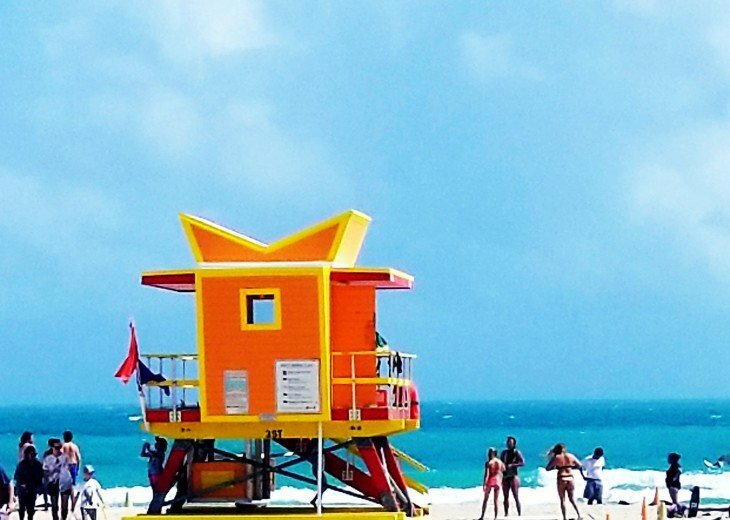 And for all your Fun in the Sun, you'll also find oversize beach towels, beach umbrella, cooler and beach chairs. We hope to host you in our little tropical paradise! 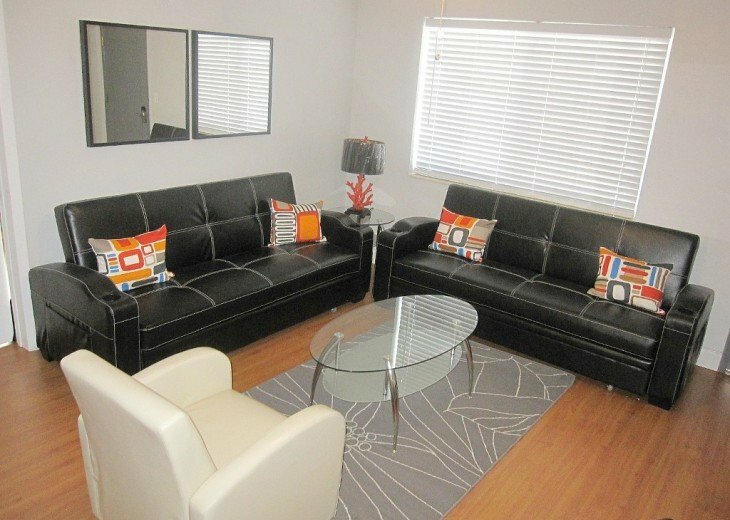 You'll be in the heart of South Beach, yet in a nice and quiet residential neighborhood. There's also a big grocery store as well as parking garage located just 1 block from our property. 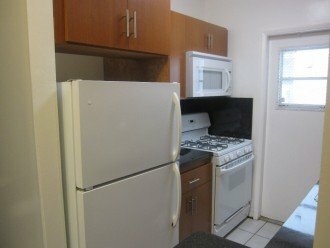 You can also rent bikes 1/2 a block away. There is also a very nice public park with open air spaces, a great pool, racket ball and tennis courts and kids playgrounds...all walking distance. Trust us, the location is really fantastic! A 50% deposit of the total amount is required to make the reservation and the balance is due 30 days prior to check in date. A Full refund is granted if written cancellation happens more than 31 days from check in date. A 50% Refund is granted for non holiday reservations cancelled with less than 30 days prior to check in date. Holiday/Special events reservations are non-refundable. 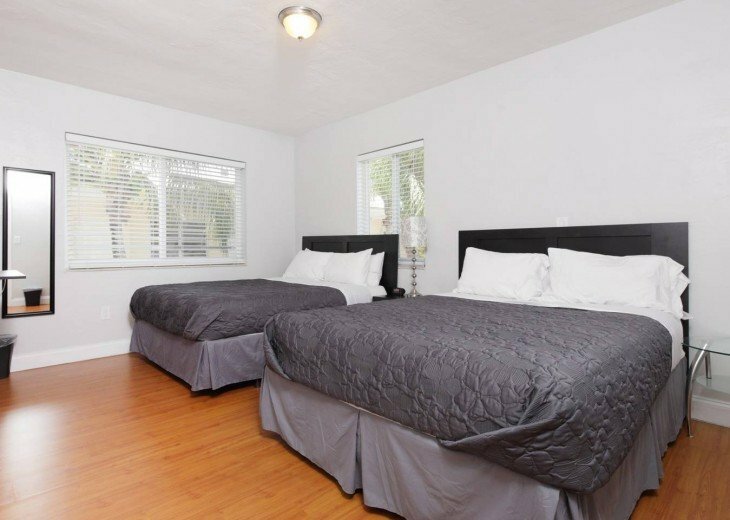 * Rates are based on 2-5 people occupancy. Additional people over 5 guests have additional charges of $50 per night. 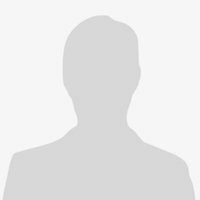 Failure to disclose exact amount of guests will result in an inaccurate quote and quote will be invalid. ** Holidays and Special Events have higher pricing. 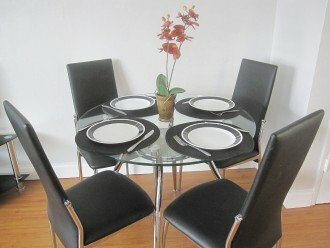 A 5 night minimum rental is required during Holidays/Special Events. I'm writing down in portuguese because my english is a little rusty. Para começar, escolhemos este local porque a Carmem respondeu prontamente o meu e-mail de forma bastante detalhada e isso nos deu uma ótima impressão. Depois de acertar os pagamentos, confesso que fiquei um pouco ansiosa se tudo iria sair bem. Só sei dizer que desde o dia que chegamos só tivemos ótimas impressões e surpresas do apartamento e da vizinhança. A Carmen e a Yesi fizeram excelente trabalho mantendo eu e meus amigos num ambiente limpo e seguro. Parabéns pelo trabalho e muito obrigada por tudo. Kung. I booked this place sight unseen because of all the positive reviews. 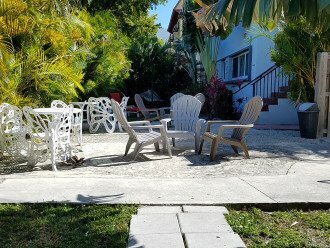 I was concerned about booking a vacation rental online as you hear all the horror stories or online scams - this place is legit. The bedrooms were bigger than the photos showed. The two bathrooms were a blessing. The kitchen was so nice to have and the living room made for a great hang out area. We stayed here with 6 people and saved money by cooking in the unit. The neighborhood is nice and quiet, one block walk to a huge Publix grocery store. I luckily got to take advantage of the first come first serve parking spot for our rental car - and that was a huge relief. I would recommend to anyone who stays here to inventory what is available to you by looking in the closets. There was a grocery cart in ours which we wish we would have found sooner. The beach umbrella and chairs are such a nice amenity to be able to use too! Our unit had a few left over spices and other items from previous renters which was nice to have available too! Everyone in our group liked the apartment. 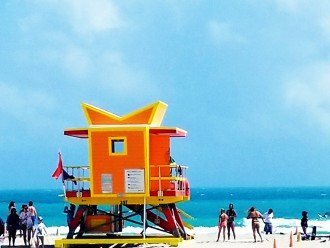 We walked to and from the heart of South Beach each night, and felt safe. 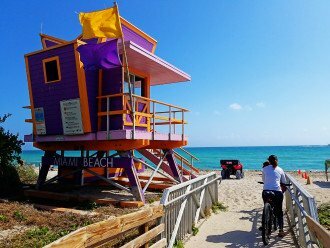 It is a few blocks from the beach and South Beach so if you are okay with walking to save a few bucks it is worth it. If you do not want to walk the 6-7 blocks then this may not be the place for you. We also found a huge savings using Uber from the airport we paid $18 vs. $40 with a cab. We also used Uber locally to go to the clubs. For the price, amenities, convenience and location - this is a five star stay! We very much enjoyed our stay at your condo in South Beach. My kids said this was our best vacation ever! The location was great, access was easy, the kitchen was well equipped, the beds were comfortable - all great! 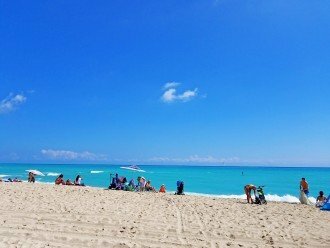 South Beach is my favorite place to spend New Year's Eve - the all ages party with fireworks on the beach is festive and lively. 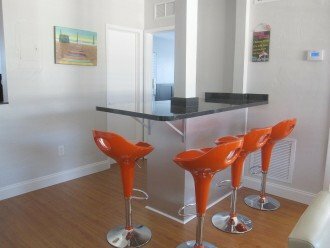 This condo is a block from a Publix and a couple of blocks from the Marina walkway that winds around to the beach. Great coffeeshops and restaurants are everywhere. McCallister's Spa is a few blocks away. Bike rentals are down the street. We had a wonderful time. Thanks so much! 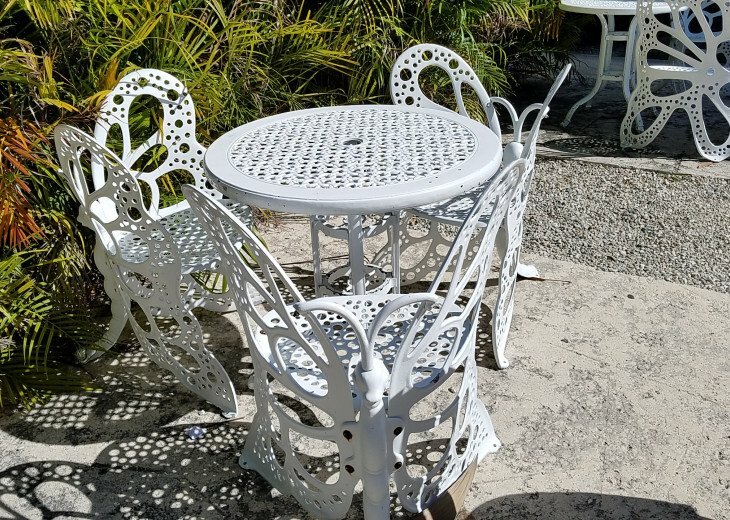 Carmen's property is exactly as depicted in the photos online. 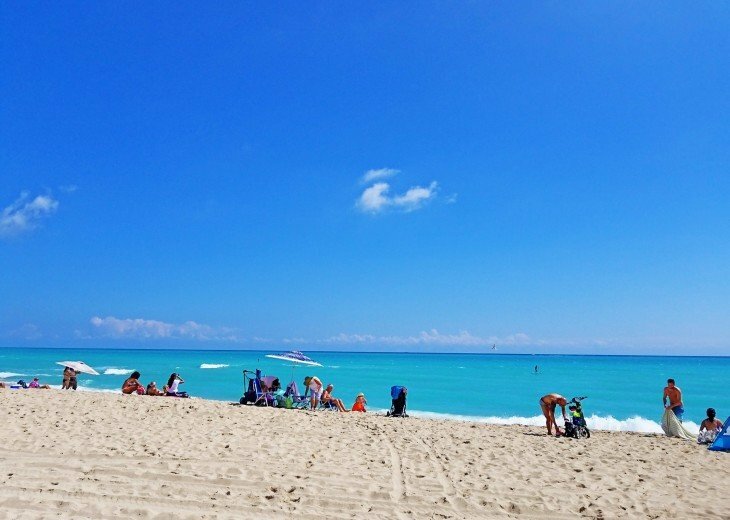 The surrounding neighborhood is quiet & removed from the noise of SoBe (Ocean Drive/Collins Avenue) though you can walk to both in under 15 mins. 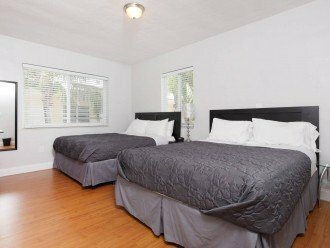 Each room has 2 comfortable Queen size beds and if you need additional space there are two sleepers in the living room. Parking can be a bit of a struggle (1 allocated space on a first come/first served basis) but a lot 1 blocks away is fairly priced for SoBe. If you're patient you can find parking on the street albeit a few blocks away. Anytime we're back in SoBe we will look to stay at this property. I must say we had a great experience! The location was absolutely perfect. Close to everything we needed, Publix, shops and South Beach. Very nice place to relax in! The place was very neat and easy to get settled in, plenty of space. Loved the access to the apartment next door since our friends were staying there. Only suggestion I would make is more towels but that's me. Lol All in all it was GREAT! I will definitely be back! Thank you to help make my long weekend special. PS: loved the keyless entry! The apt was clean and very spacious. There were 5 people in our group and we had plenty of space. Very convenient to store and bike rentals. It’s about a 10 min walk to the beach but I didn’t mind that. The gated complex was a nice feature since we were all females staying. Ample beach towels and bathroom towels, comfy beds and pillows. All over, a great place to stay. Highly recommend! 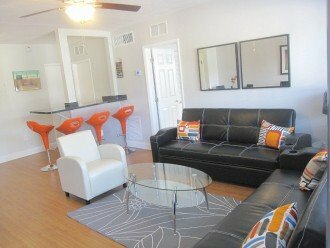 I rented the Lenox apartment for a friend's bachelorette party and it was the PERFECT place! The apartment was spacious (there were 8 of us) and very clean, just like the pictures. It had all the amenities needed to make our stay pleasant, towels, toiletries, etc. 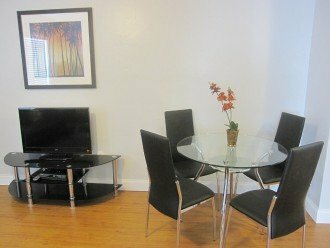 The property manager responded quickly to my questions and requests during the booking process as well as our stay. The kitchen had all the necessary utensils so we could make our own meals, there were even some spices. I had to work (i know right) a few hours while I was there and I used the wi-fi and it worked great! There is a Publix nearby where we did our grocery shopping for the weekend. It is less than a 5 minute walk. 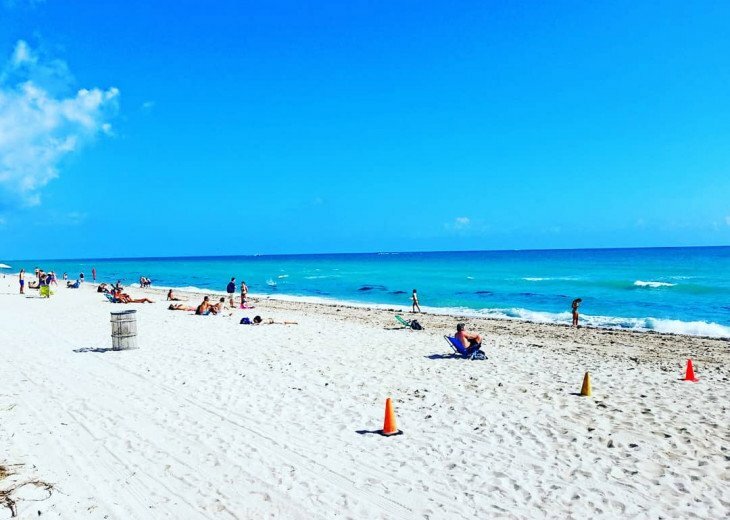 The place is also very close to the beach, about a 7-10 minute walk to Ocean drive where there is also shopping, restaurants and nightlife! Oh, there were also beach towels there for us to use which was great! 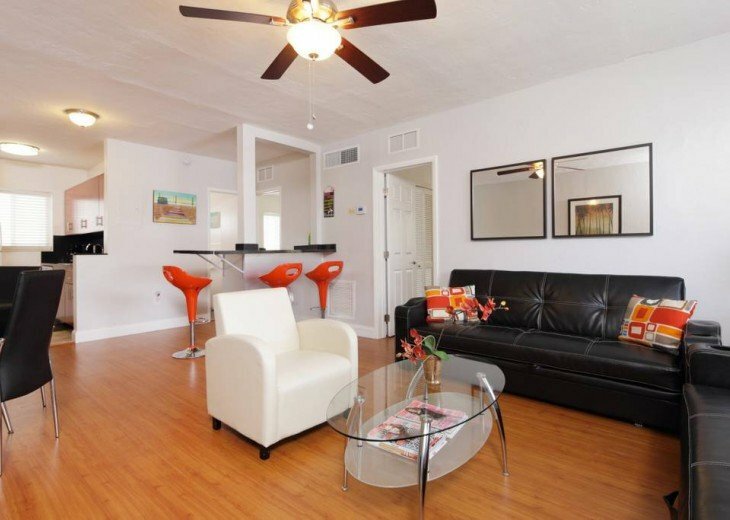 This Miami Beach apartment was the perfect place for us to stay. We are already planning another trip and will be staying here again! Thanks for the great hospitality! 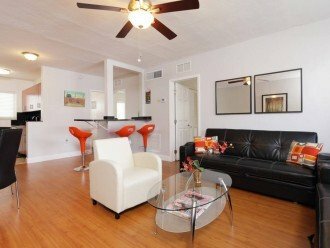 This beautiful condo apartment is the perfect place for anyone who visits South Beach. 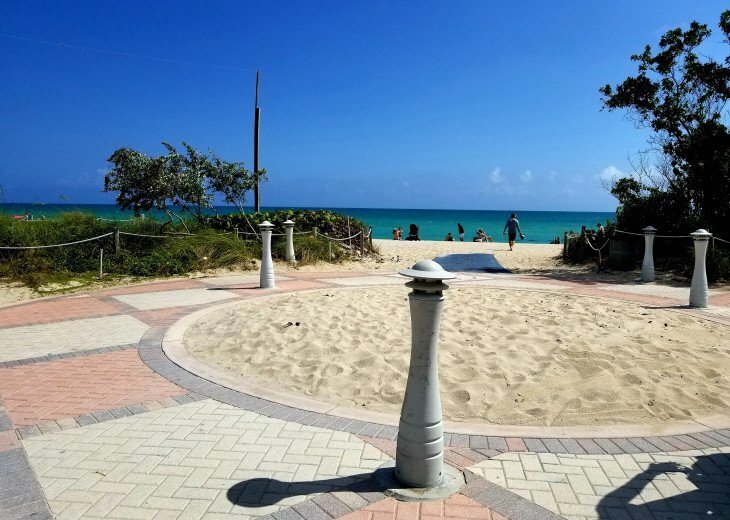 It is located close enough to the beach to enjoy a short walk down 5th Avenue and enjoy the sights and sounds of the neighborhood. The apartment is exactly as pictured. Having a kitchen is great for anyone who enjoys cooking. And 2 bathrooms make it easy when there are more than 2 guests staying there. 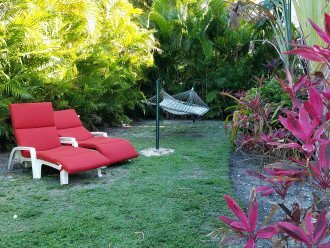 There is also the comfort of a shared outdoor patio area with reclining beach chairs and even a hammock! 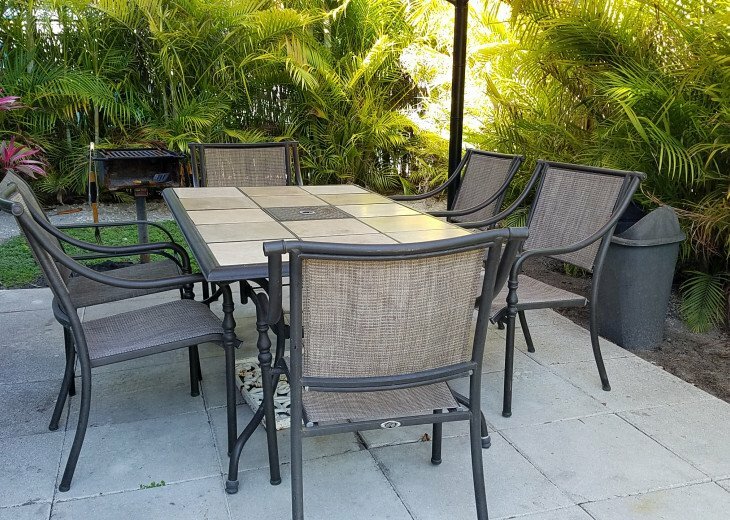 Neighborhood amenities include a Publix supermarket that is only 1 block away and a mini shopping mall that includes a Best Buy, Ross, Total Wine and TJ Maxx in case you need some more warm weather clothing and accessories. 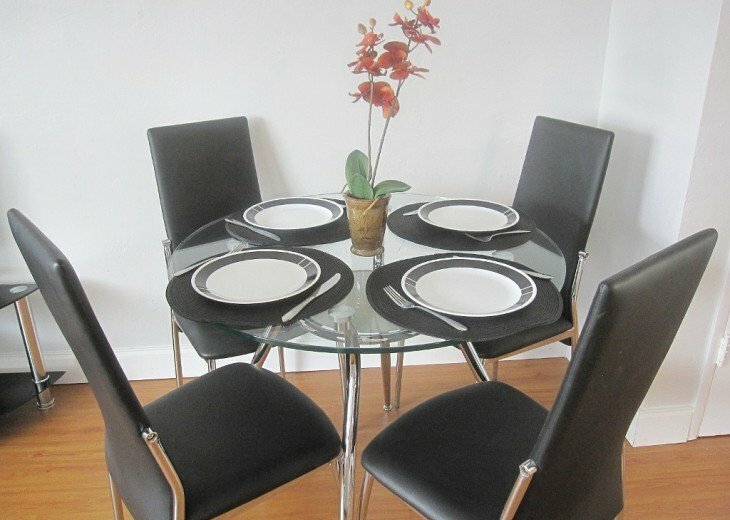 Carmen is a great host and very responsive to any questions and inquiries. 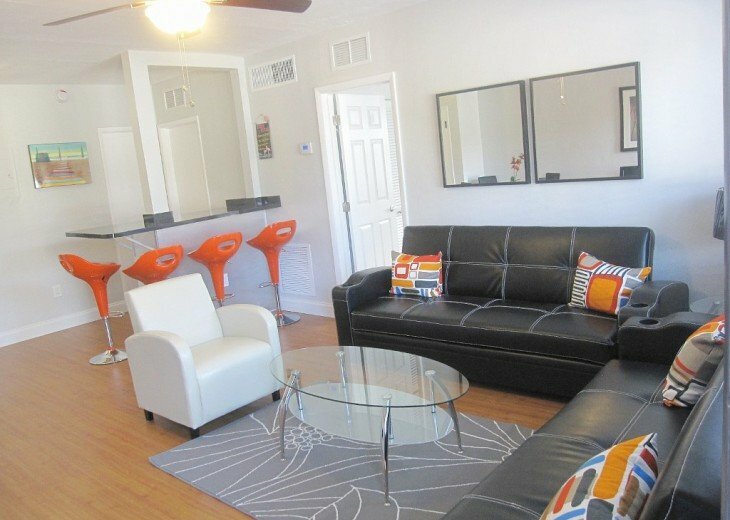 I would recommend this place to anyone looking for a great and affordable place to stay while visiting South Beach. And I look forward to my next stay when I visit Miami again! Thank you Carmen! The condo exceeded my expectations. Carmen made sure that we had everything at our fingertips before we even arrive. The house was extremely clean and accommodate it every single one of our needs. There were six of us in total and we never felt as if we were crowding each other. I would love to stay here again and again and again. I just wanted to say thank you got letting me accommodate this beautiful home for my trip! I've been to Miami several times but this trip was the best so far. The place was the perfect size. Not too big yet not too small. Even though we got out most of the trip, the feeling of knowing you can come back to a nice place with everything you need tops It off. I hope we can stay in touch for the future. I can't see myself staying in another place and I've stayed in places such as the Eden Rock, Grand Beach, and a few others. Thanks again! I'm not really sure how to begin. We first arrived at Lenox Avenue We were surprised of how nice to area was. We were close to all amenities including grocery stores retail stores as well as liquor stores. This property was the best decision I made for our stay in Miami. 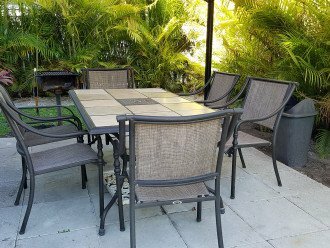 In the condo we had everything we needed from Towels, to wash cloths,umbrellas that we could use on the beach, two chairs we can use on the beach, even to Ample enough room to entertain for a barbecue. The rooms were very very spacious both beds in each room were extremely comfortable. 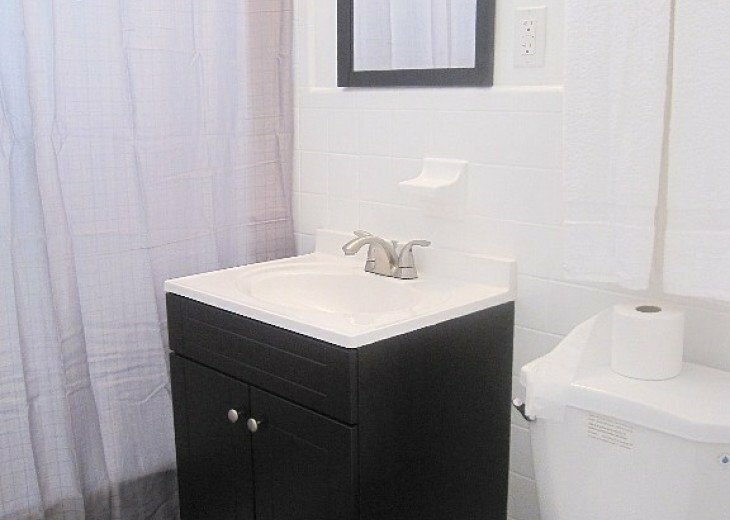 The bathrooms are clean and in the well working order. I will be staying here again in our next trip from Miami. FYI I wish I could live there forever! The apartment was everything that was presented in the photos. The apartment was large enough for our big group and the neighbors were so respectful and nice. The location was close enough to the beach, shopping, and the grocery store. The rooms were really clean and the dishes were so useful when we decided to cook. 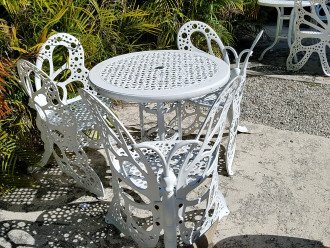 I really enjoyed staying at the guest house and will definitely love to stay there again. I especially liked that to get into the apartment and front gate is all number coded so keys or cards aren't needed to gain access. This is so convenient especially when you have a big group, it saves the trouble of loosing keys. It also keeps your belongings safe because the apartment door automatically locks so you dont have to worry about locking the door on your way out.